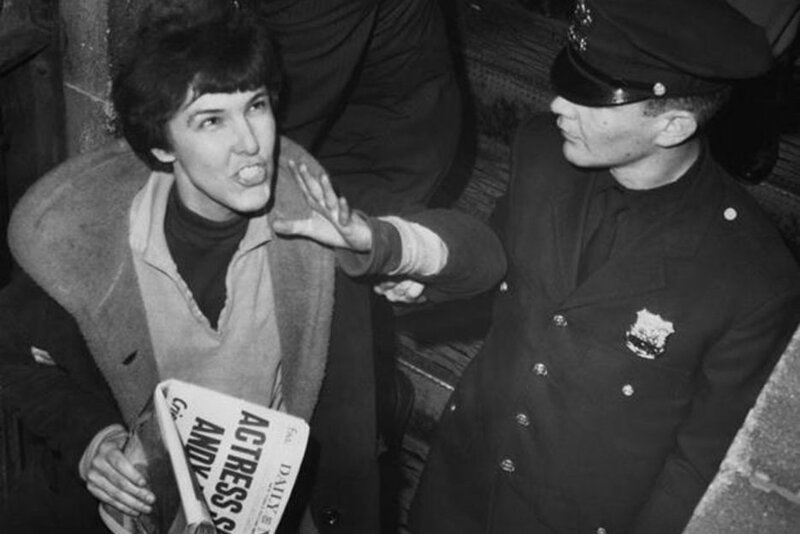 As I was banned on r/communization last night, I accused of parroting Valerie Solanas, author of the SCUM Manifesto in 1967. I had never heard of this person before last night, so I went to read it. I was actually surprised both by the manifesto and by the accusation that I was parroting many of Solanas’s ideas. If you are familiar with Solanas and her SCUM Manifesto, my surprise may not be what you think it is. I was very impressed with her argument. This is certainly more profoundly revolutionary sentiments than anything I have ever read on r/communization since I joined it, or any communization screed with which I am familiar. There is no human reason for money or for anyone to work more than two or three hours a week at the very most. All non-creative jobs (practically all jobs now being done) could have been automated long ago, and in a moneyless society everyone can have as much of the best of everything as she wants. This manifesto was decades ahead of its time on a number of fronts and addresses issues communists still grapple with today. The text is highly controversial: did Solanas mean it to be taken literally or was it satire on the level of Jonathan Swift? Solanas (and many who knew her) at times appears to take either side of this controversy. In any case, I am going to spend some time examining it. I hope to write something about it in the next few days. Anecdotally: I read the SCUM Manifesto long ago and then after a long gap read a bunch of later Burroughs (written after the Manifesto). Their voices have a lot in common, I think. So what did you think of it when you read it? Some people said they laughed when reading it. I never saw anything funny about it. My posture was DefCon 1 the whole time. It took two readings for me to accept she MIGHT simply be engaged in social criticism. Her observations are that deadly. I think I mostly found it helpful but sad. It didn’t (so far as I can remember) make me feel that I’d be personally threatened if in her presence. She joined my “born too late” / “all my idols are dead…” list. She suffers from the same BS delusions that we all suffer from, those delusions being – the only way to change MY world is to change THE world. Is that D.T. Suzuki or Dr. Drew? People like Dana Densmore and Betsy Warrior, both members of Cell 16 (which was inspired by Solanas’s SCUM manifesto) were frequent contributors to ‘No More Fun and Games: a Journal of Female Liberation’ (there’s only one issue online from 1969). The women say they have learned to rely on their own strength. They say they are aware of the force of their unity. They say, let those who call for a new language first learn violence. They say, let those who want to change the world first seize all the rifles. They say that they are starting from zero. They say that a new world is beginning. I’ve come to the conclusion that the money-work system has a deep problem: it can’t be turned off. The fact that it’s a habitual masochistic trainwreck is something we are stuck with. People will choose the wrong solutions to problems they don’t understand. The real issue is that it is a panopticon, not just a bad habit. I’m working on that aspect. A turnkey design where you have the ability to exit the insanity as soon as you have either resources or support and only when you need to prepare for future risks and costs do you have to talk to the insane people.